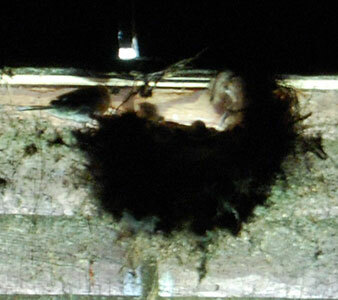 We seem to have some guests in the attic. 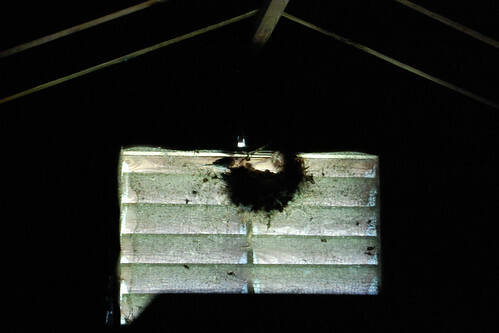 They’re welcome to stay – there is a screen between the house and the nest. I’ve been hearing them for a while but hadn’t been in the attic to notice them. I thought they might be in the overgrown holly bush out front. I guess I no longer have an excuse not to trim the shrubs. Darn. D&D Week 26 part 2: Grate Expectations. When last we left our intrepid adventurers, they had come to the realization that their little friend, Flambe the bat, wanted them to go through a passage which was 30 feet underwater. 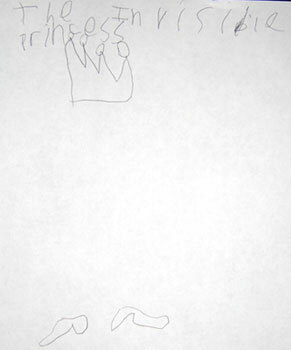 Tonight Em made up a great fairy tale called The Invisible Princess. All that could be seen of the princess were her crown and her shoes. Everybody around her had a special glass they could use to see her. But one day they thought she wasn’t there anymore, that she had vanished! But then they were able to find her again. Quite the original story. I’d buy that book. 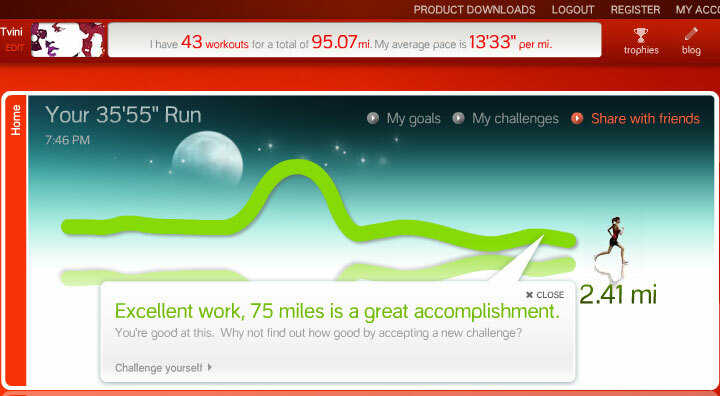 I’m not going very fast, but I’m going. More tomorrow, when I’m not so tired! Am I correct in thinking that physical therapy should not leave you with bruises over the area which was “massaged?” There are more bruises, but there’s only so much purpled fishbelly-white abdomen you need to see. It’s been 20 years since I last had any physical therapy, but this just can’t be right. 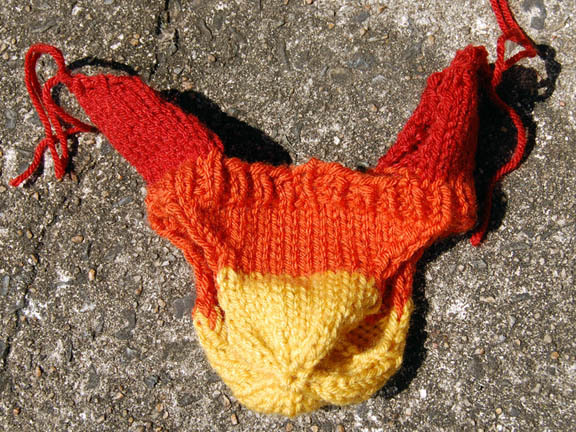 Is it Jayne-themed underwear with suspenders? Charlotte Browncoat Audrey Hackett is costuming Firefly-themed bears for auction at Charlotte’s Can’t Stop The Serenity screening this weekend. 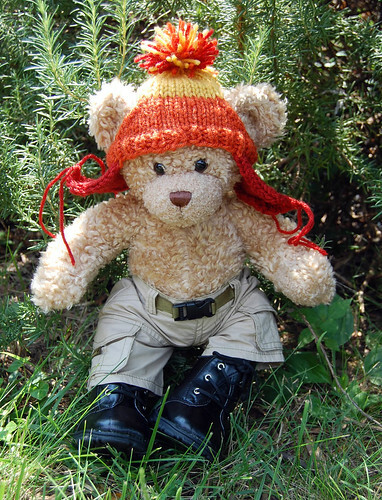 I made the Jayne bear’s hat and will return the bear to her to be outfitted with more cunning gear – including a tiny Vera. I’ve seen the completed Wash, and it is AWESOME. Fantastic idea, Audrey! Look for a Serenity screening near you! I’m in physical therapy for back pain now. I had my second visit to the physical therapist today. 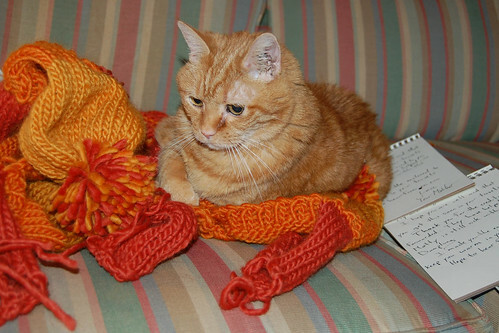 WearWithStyle‘s quality control manager inspects Jayne hats bound for Texas’s Can’t Stop The Serenity showings this weekend. Check for a Serenity screening near you! ETA: Usually my yarn is kept in plastic bags. She just happened to find those on the couch while I was getting boxes ready. Most of the hats are not rubbed on cats, I promise. D&D Week 26 part 1: What’s that? Timmy’s fallen in the well? When last we met our intrepid adventurers, they had encountered a large gate. Just past the gate was some sort of prison complex, complete with guards and cells. We retreated to the moat area to regroup and think. And I use the word “think” loosely. This week, we go back to the gate.